One of the things that is really important, yet no course or book teaches, is using the correct mouth movement when speaking Japanese! Of course it makes sense that different languages use different positions and shapes in the mouth in order to make their own sounds, right? And yet what typically happens is that people use their native mouth movements to speak a foreign language! This leads to problems, the primary one being that your native language’s sounds leak into the foreign language you are trying to speak. So, we are going to go through the process of awareness, and then practice to learn what kinds of mouth movements you should be using when speaking Japanese, so that your pronunciation can level up again! Alright, so again what I would like to do is clearly explain to you what occurs in English, since I assume it’s your native language, so that you are aware of your own natural tendencies. Here is a really good YouTube video that talks about the natural movements of English and she even talks a little bit about how it is different, almost the opposite in fact, of Japanese! Watch this video now in order to become fully aware of how you naturally use your mouth for English, and then continue on with the lesson. OK, so the main points to note in this video is that, when we speak English, we move our mouth around a lot! 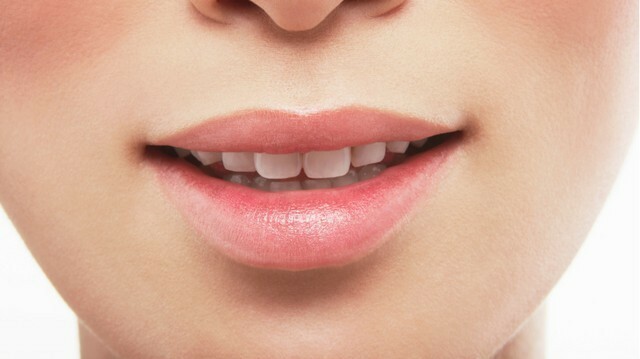 There is a lot of movement in the jaw, there is a lot of rounding the lips, and typically our mouths are open quite a bit in order to make the correct English sounds. Japanese, like she mentioned in the video, is different. Let’s take a look at a video of a native Japanese kid saying the Japanese word for “lip” below and see the difference. Alright, now in this video the kid is only saying a single word: Lip. In Japanese it is written as くちびる which is nice since it has four mora, which is plenty for you to see the natural movements of the language. Alright, so did you notice in this video the things that the English lady mentioned about the Japanese language (from video 1)? The first thing is that the jaw is closed. That means it doesn’t really move all that much. It has to move a little bit of course, but when compared to the amount of movement in English, it is like the difference between night and day. The other thing you might have notices is that, while there is a slight rounding of the lips for the [u] sound, it is nowhere near the amount of rounding that occurs in English when we say [u] like in the words “you” or “who” and so on. So, what am I trying to say here? Basically that when it comes to speaking Japanese, you don’t need to do any extra mouth movements than what you are currently used to. Quite the opposite in fact. You need to move you mouth LESS than you do when you speak English! Try to speak with a relaxed mouth, but don’t move your jaw too much, and don’t over-round your lips on [u] vowels, and such. Strive to keep your mouth in a “closed” position consciously at first, and until speaking with correct Japanese mouth movements becomes a natural habit for you. If it helps, you can always look on YouTube for video of Japanese people speaking, and try to mimic not only the sounds that they are making, but also the mouth movements that they are using. Imagine that you are an actor, and your next role is as a Japanese person. You would want to study how they use their mouths when speaking, so that you could recreate it yourself during your performance and sound just like them. EXTRA: What Role Do Emotions Play in Speaking? I wanted to talk a little bit about how the sounds of particular words will change in the language depending upon the emotion of the speaker. There’s really not much to say, so I wanted to include it in this post instead of creating an entirely new one. Basically speaking, the structure of certain words will change in order to emphasize it over the other words in the same sentence. とても (very) will often change to とっても！ It gained a stop sound in order to show the speakers feelings. おはよう (good morning) will often change to おはようぅぅぅぅ！ It gain an elongated sound due to the person’s enthusiasm. The [r] sound will very often get rolled like it does in Spanish. This is pretty common when Yakuza (Japanese mafia) speak in shows and such, but it can happen when a person is upset as well. だれ (who) which is normally like [da-re] will change to [da-rrrre]! The key take away here is that the sounds in particular words may change depending on the speaker’s state of mind, but they are all sounds that are normal to Japanese. With perhaps the exception of rolled R’s, all of these sounds are ones that you’ve already learned in this course. Just be aware of this in case you think a person mis-pronounced a word. Perhaps they were just angry when they said it! That’s all I’ve got for this first section that covers the physical aspect of speaking Japanese. But the next, and final lesson for Section 2 of this course is just as important. It covers the psychological aspect of sounding Japanese, and truth be told, it could actaully be the single most important part of this entire course on the sounds of Japanese! If ever there was a time to pay attention to the lesson, this next one is it. Questions? Comments? Let me know down below! Go Back to Lesson 20! See The Best Japanese Courses This Year!